Don’t give any President so much credit. Necessary proper perspective! I live in a suburbanized Oak forest North of Chicago. Today I saw that the village has cut down the remains of one of the younger Oaks in my neighborhood. I’m 61 years old, and this tree existed before I was born, I know because I remember it being there when I was a small fry. There are many Oaks that are larger than this one, in fact the majority of them in my little suburb are larger in diameter. Not many Oak seedlings or saplings survive the lawnmowers and the other hazards that threaten Oak survival. This area, while predominantly Oaks (White, Red, Pin…), has also American Elm, (Yes! there are a few that have survived the great die-off from Dutch-Elm Disease in the 60’s), Cottonwood, Ash(suffering badly now due to the Emerald Ash Borer beetle), Hickory, and perhaps a few others indigenous to the area. What I find most disturbing is the lack of undergrowth to insure a continuance of the Oak/Elm biome. Sadly there are few young Oaks coming up under the magnificent crowns of these mature ones, some of which are getting close to 200 yrs or more in age! These big Oaks won’t remain if their babies are not cared for. A small hollow is seen in the bottom of this tree, with some tunneling made by Black (Carpenter) Ants. This is not what caused the demise of this tree. Most likely its roots have been disturbed by the relaying of the bricks in the street to the right. Additional factors could be the percolation of rock salt used in Winter, application of lawn weed control chemicals, being overshadowed by neighboring trees, and the perpetual annual loathsome human habit of the raking and removal of leaves which happens every fall. Oaks, and indeed all trees, deciduous or evergreen, have developed before humans came along and raked up or disposed of their leaves. When undisturbed, the forest litter performs an important function for the health of a forest. It provides nourishment and acidification for the soil as well as a home for a myriad of insects, most of which are beneficial to the ecosystem. This is why I prefer to ‘lawnmower mulch’ the leaves in place and let the small bits filter down into the lawn. All of the nutrients and acidic tannins from the leaves will percolate down into the soil and ultimately help the trees in the following seasons. If you like Oaks and their related forest dwellers as much as I do, then you can help by planting some acorns, or moving a seedling which is too close to a fence or a house into a more open spot in your yard. Mulch your leaves, or allow a humus layer to develop underneath your trees. Limit your use of weed killers. Important! : Oaks have a tap root, so when you go to move one, do not chop off the tap root!, and dig a deep enough hole to accommodate it. Do not indiscriminately hack off roots that may be going across the surface of your lawn, you might kill a tree. Be careful when digging for other plantings, if there’s a large root in the way, you can always choose another spot. Be kind to your Oaks! A Classic Oak Crown – This magnificent tree must be approaching 300 years old or more, there are several large trunks which emerge from a stout base that looks to be 12 to 15 feet circumference. This one is a block away from my location, and looks like three trees in one. Most trees in the neighborhood are comparable to just that one trunk rising at the right. ‘Hockey Stick’ was coined by the climatologist Jerry Mahlman, to describe the pattern shown by the Mann, Bradley & Hughes (MBH99) reconstruction, creating a graph that is relatively flat with a downward trend to 1900 which looks like an ice hockey stick’s “shaft” followed by a sharp, steady increase corresponding to the “blade” portion. The hockey stick graphs have featured in the IPCC reports as evidence of Anthropogenic Global Warming, or AGW. Note that the time frame of this graph is for 1000 years. That’s barely the blink of an eye in terms of the Earth’s 4.5 billion year existence. Also note that everything prior to 1855, the start point of the red line in the graph above, is not actual direct measurement of temperature, but inferred by proxy. The compacted snow in Greenland Ice Cores above the 1855 level is too recent and not compacted enough to be usable in ice core proxies. But everything prior to that is usable, and goes back nearly 52,000 years. Greenland ice core data doesn’t go back any farther than that. Temperature estimates are determined by analysing the ratio of Heavy Oxygen and Heavy Hydrogen to normal O and H in the samples of ice. “Oxygen and hydrogen isotopes in the ice are analyzed to determine hemispheric temperatures because heavy water (water with deuterium instead of 1H), as well as heavy oxygen water, (water with 18O instead of 16O), have higher boiling points than regular water, and more heavy water gets into the atmosphere when global temperatures are high. The warmer the earth, the more heavy isotopes wind up in the ice. This has nothing to do with the temperature of the ice, it has to do with the temperatures at the evaporation sites.” [The evaporation sites from which the ice originated, which for this hockey stick graph are primarily from locations all over the Northern Hemisphere.] – scroll down to ‘Modern Warming’ at this link for a more detailed explanation of Greenland Ice Core Proxy derivations. The Red arrow points to the blade of the ‘stick.’ The ‘blade’ starts at about 1780. Coal was only just beginning to be used in industrial applications: it was 1781 when James Watt patented his first continuous motion steam engine. But not until 1804 when the first railway using a steam engine in Wales took place. Here we see the Medieval Warm Period Circa 1000AD, when the Vikings settled Greenland, and the Little Ice Age, late 1300’s to late 1700’s. Here you can see that the ice-age is punctuated by a wildly fluctuating climate pattern with extreme swings between very cold and not so cold periods. You can bet on it that many violent weather events occurred that dwarf anything of the Holocene, which is roughly the last 1/5th of the graph above. Graph 6 – 425,000 Years Ago [The Last Four Major Glacial Epochs] Reconstructed global temperature over the past 420,000 years based on the Vostok ice core from the Antarctica (Petit et al. 2001). The ‘Hockey Stick’ is now an invisible blip in that little red outlined rectangle on the right, which is our current interglacial period. Previous interglacials(Red Spikes) were all warmer than our current one. And this model is probably correct in ignoring anthropogenic effects because they really don’t amount to much in the long run. And I haven’t even touched on the effects from possible future volcanism which are known to have worldwide repercussions. Thanks to Wikipedia for the Graph at the top of the post. Thanks to Morgan Wright’s page: “Global climate change from a realistic, non-political point of view.” for the graphs 1 through 5. Were this book written today, a whole chapter would have to be added that would be devoted to climate alarmism. And most specifically to the recent (late 20thC to now) alarmism of the Global Warming variety. Though, to be fair and honest the 20th C. saw from time to time, alarmism of both the Warming, and Cooling varieties, of late, it is the Global Warming variety that has captured the fancy of the crowd much more so than the idea that Earth could be just around the corner from some prolonged cooling event. Indeed, Global Warming/AGW[anthropogenic global warming] terms have been replaced by the current popular term of ‘Climate Change’, which would seem to be a catch-all for whichever way the climate may swing. Now, you may be thinking that climate change isn’t an economic movement, but you will have a tough time reconciliing that with President Obama’s war on Coal and his statement that electricity rates will necessarily skyrocket under his plan. If Obama actually cared about the economically disadvantaged , he would not be engaged in such an endeavor as a war on coal, or petroleum, or natural gas. In addition to hurting the poor, Obama’s policy has had the unpleasant side effect of further politicizing science. Frederick Colbourne has written a guest post at the Ice-Age Now blog that puts the magnifying glass to this more recent Popular Delusion of Climate Alarmism. In my opinion, climate alarmism would be just another example of “Extraordinary Popular Delusions and the Madness of Crowds” rather than a ‘hustle’. Except that climate alarmism is supported by governments that have aligned on the side of the promoters of the delusion and in so doing have politicized the science. 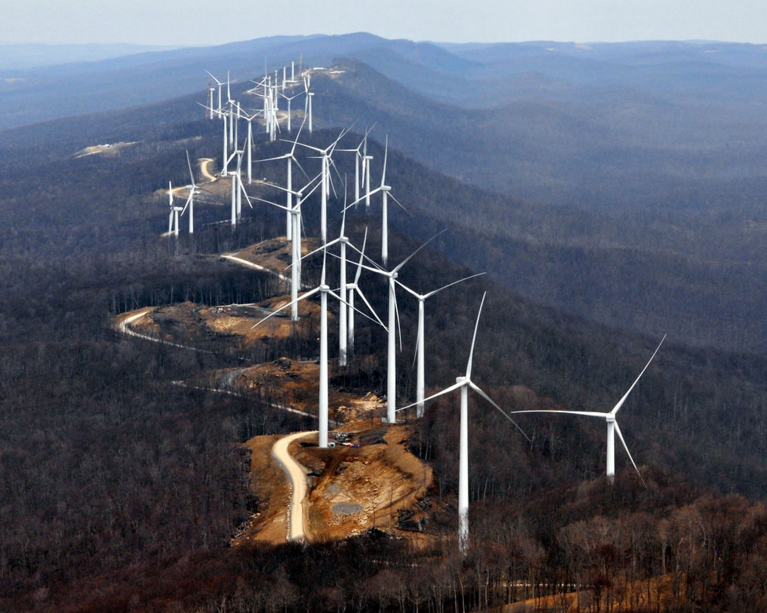 State power is what makes climate alarmism a ‘hustle’, corrupting science in the process.Recently, the US lent its immense power to a global climate treaty intended to reverse global economic development by reducing access to cheap energy. The EU and Britain have signed on to promote and enforce what seems to me a cultish form of Luddism. While there have been Luddite movements since the early days of the Agricultural and Industrial Revolutions, these movements were never popular in America, until now. I saw this article today In the UK’s The Daily Mail. Being a Geology buff, I decided to see what it was about. Knowing that some deride the Daily Mail as a not-credible Conservative tabloid, I decided to see for myself whether this story was overblown sensationalist tabloid fluff, or whether it had any merit on its own. Anyone familiar with the geomorphology of the Southeastern United States, knows that the Appalachian Mountains are old eroded fold created mountains and that the area to the South and East of the Ohio River valley generally slopes towards sea-level with Florida being very flat and mostly only just meters or less above sea level. This is indicative of a general subsidence, or lowering of land mass over millions of years. To be fair to the Mail, they did acknowledge this long time frame in the article. So the ‘big one’ is not going to happen tomorrow, it’s already been happening and for millions of years. Also posted May 3rd at UNC Chapel Hill is this essentially same summation of the immediate above article. Contemplating future maps of North America would only serve to confuse the issue, not only because of the great time scale involved with this kind of long term change, but because of countless other factors that would affect the design of such a map: Subsidence/Uplift, Ice accumulation/Ice melt, Erosion/Deposition, the dynamics and changeability of tectonic plate motions. Nice to see some sanity prevail! 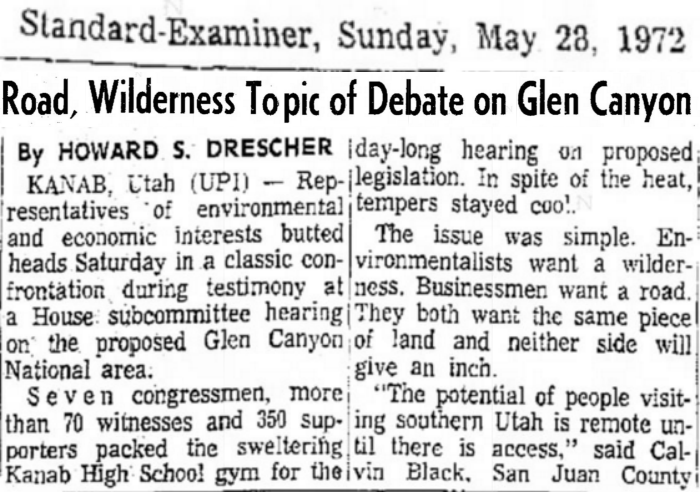 I testified at my first Congressional hearing in support of wilderness almost 45 years ago. It was a very hot May day in Utah, and we had to push the van through sand dunes with the A/C turned off, to keep the engine from overheating. In the 1980’s I volunteered two summers as a wilderness ranger in New Mexico. I still spend most of my time defending the environment from left wing nut jobs. Here is some good news. The communities of Churchover/Cotesbach near Rugby, England have just won a battle against the great environment wreckers who were trying to bribe landowners, using taxpayer money, to destroy the environment. I’m proud to have played a small part in that battle. Congratulations to the Churchover/Cotesbach community who have finally won their battle against subsidised wind turbines in the Upper SwiftValley. With the Sun continuing its descent into a Grand Minimum, we can expect global cooling to continue. El Nino is a manifestation of this cooling where warmer ocean waters give up their heat to the atmosphere. The wild swings in the jetstream(Meridional Flow pattern, as opposed to the more benign Zonal[W. to E.] flow) help to take that additional atmospheric warmth to the polar regions where the excess heat is more readily radiated away to outer space. Meridional flow also leads to more extremes in weather patterns which is the direct opposite of the claims of the Global Warming/Climate Change alarmists. If it were my choice to make, I would take Global warming any day over global cooling, as it: 1. makes the planet as a whole more livable, 2. makes for better crop yields through, a) more dependable rainfall, and b) more vigorous plant growth via increased atmospheric CO2, and c) is characterized by the dominance of the jetstream’s Zonal flow component which lends itself to a reduced frequency of weather extremes. The general cooling trend is expected to continue to around 2050 or longer and as a result, we can expect more droughts and floods, i.e. 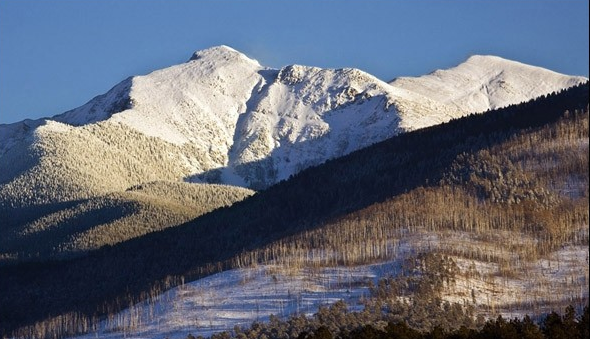 : a continued increase in weather extremes, more crop failures, more cows getting snowed over and freezing to death. And whatever any government entities decide we should do about dreaded ‘Climate Change’, it will have little to no effect on what mother nature has in store for us. So, like the article says, don’t get too used to El Nino. Another great post from Caleb. Brinicles!